When histories of the 21st century are written, it's certain Google will loom large. 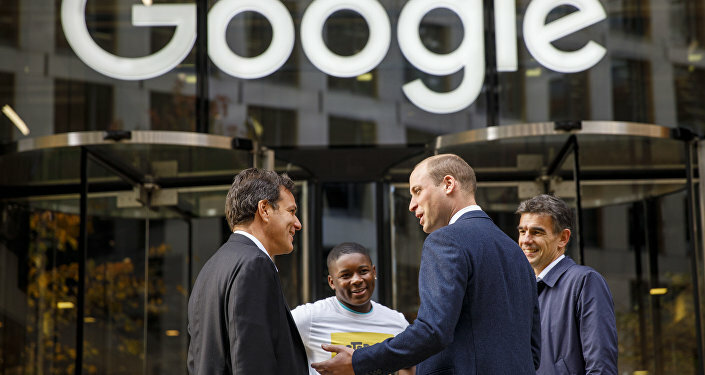 In but two decades, the company - which began life as the research project of Stanford University students Larry Page and Sergey Brin in a Menlo Park, California garage - has shaped the internet and the modern world like no other. Company executives and staff alike have much to celebrate on Google's 20th birthday, September 27. Its search engine has long-enjoyed a nigh-on total monopoly in the market, while key sister products — including Chrome, Drive, Gmail, Maps, Play, and YouTube — boast over a billion users each worldwide. Smartphone operating system Android, developed by Google, also has well over two billion active users, making it the world's largest. Such unprecedented multi-channel growth has produced a vast cash pile for the firm's holding company Alphabet, which is rapidly nearing a US$1 trillion market cap, an echelon previously only ever inhabited by Amazon and Apple — if it were a country, its GDP would rank among the world's 15 largest. Mainstream news organizations have spent much of September applauding these achievements — the numerous controversies, criticisms and scandals that have buffeted the firm almost since its inception have gone largely if not totally unmentioned. The Google logo is pictured atop an office building in Irvine, California, US, August 7, 2017. 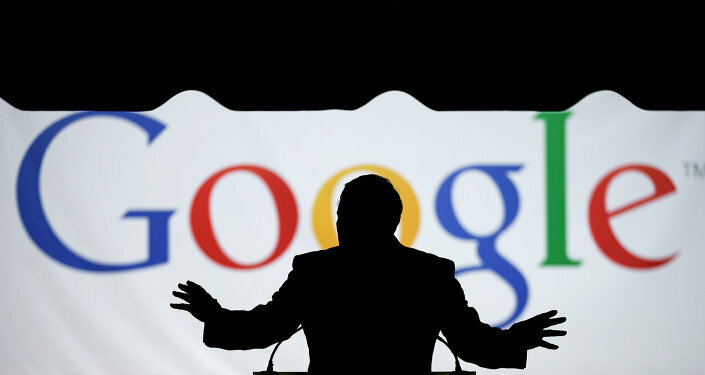 In a sense though, this conspiracy of silence shouldn't surprise — Google has never been subject to overly intense media scrutiny, and it is perhaps this lack of critical attention that has allowed the firm in just 20 years to mutate from a simple search engine to a vast and potentially dangerous international oligopoly, capable of influencing its users' behavior and opinions, suppressing vital information and alternative views from public view, and much, much more. Over its two decades of existence, Google has frequently sought to differentiate itself from sinister industry titans of old, adopting ‘don't be evil' as its unofficial motto — perhaps fittingly, this clause was quietly dropped from its published code of conduct in April 2018. However, just as big tobacco suppressed scientific research linking smoking with cancer, and energy giants have long-used academic research to muddy the waters of the climate change debate, so too has Google exercised a pernicious influence on academia, funnelling millions annually to scholars to produce papers facilitating and furthering its commercial interests and objectives. In July 2017, an in-depth study by the Campaign for Accountability (CfA) identified 330 research papers published 2005 — 2017 funded by Google, whether directly or indirectly. The papers — many of which were authored by respected academics from internationally renowned institutions such as Stanford, Harvard, MIT, Oxford and Cambridge University, and the Berlin School of Economics — covered a wide range of regulatory and legislative issues of critical importance to Google's profits, including antitrust, privacy, net neutrality, search neutrality, patents and copyright, which the firm has often sought to influence in other, more overt ways. In all, 54 percent were authored by academics directly funded by Google, while the remainder worked for, or were affiliated with, groups or institutions funded by Google. In the majority of cases identified, readers were given no indication of the company's interest in the paper — authors didn't disclose Google funding in 65 percent of cases, even when the company directly paid for the study. Moreover, the number of Google-funded studies published tended to spike when the company came under scrutiny from regulators, or when its competitors faced greater regulation. For instance, starting in 2011, Google funded a deluge of academic studies antitrust issues, just when US antitrust regulators began examining the company. Over the next two years, Google-funded academics authored at least 50 papers on antitrust issues, all of which exonerated the search engine giant on charges of monopolization and uncompetitive practices to varying degrees. One representative study, Google and the Limits of Antitrust: The Case Against the Case Against Google, authored by Geoffrey Manne, International Center for Law & Economics and Joshua Wright, George Mason University, concluded traditional conceptions of antitrust did not apply to the company, and an "aggressive" regulatory approach to Google could be "costly" in innovation terms. Accordingly, the number of competition-themed papers funded by Google shrivelled rapidly when the Federal Trade Commission closed its investigation in 2013 — however, another spike reared in 2015, when the European Commission levelled formal antitrust charges against the company. During that period, Google-funded papers on copyright issues also surged in volume, as the company fought anti-piracy proposals travelling through Congress. Publications peaked in 2013 as Google sought to counter suggestions it should be held responsible for pirated books, music or movies available via its platform. 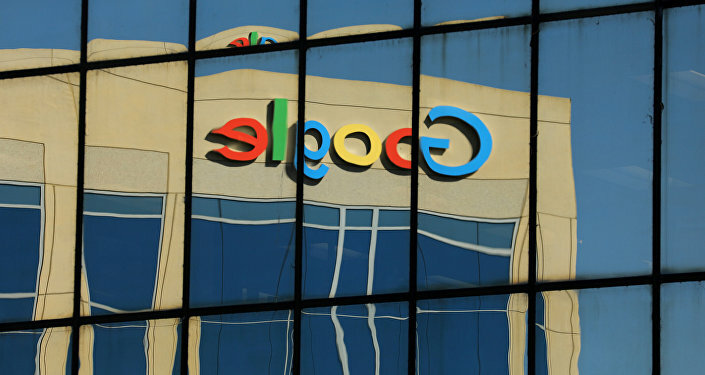 The CfA noted Google-funded papers often blurred the line between academic research and paid advocacy by the company's consultants — while some employed superficially legitimate research methodologies, many lacked even basic standards of academic rigor, with certain papers being little more than thinly-veiled promotional pieces, outlining the beliefs of an individual in the pay of Google with little or no supporting evidence. Just as average readers were often left in the dark about Google's role in funding and/or writing paper, the company's voluminous army of PRs and lobbyists aggressively promoted Google-funded papers to journalists, politicians, regulators and even agencies investigating the company's conduct the world over, rarely if ever disclosing Google itself paid for their production. Such lying via omission plagues the organization to its highest levels — in 2013, then-Google chief executive Eric Schmidt cited papers paid for by Google in written answers to Congress supporting his contention the company wasn't a monopoly, without mentioning their funding source. Most ominously perhaps, Google-funded studies are frequently cited by other studies — including by other Google-funded papers. The 330 papers identified by CfA were cited almost 6,000 times in over 4,700 articles, obscuring their questionable origins and creating the erroneous impression of a sizeable and ever-growing body of academic research supporting the company's policy positions. The monopoly Google has pumped so much time and money into creating, maintaining and defending has created a world in which literally every second of every day, an unquantifiably vast number of people use the company's software and/or products to communicate, work, consume and learn. By definition, this affords Google significant power over what users can and can't and do and don't see — it's a capability the firm is acutely aware of, and has long-sought to leverage. Most commonly, this takes the form of ‘filter bubbles'. In essence, Google's extensive and ever-evolving algorithms keep constant track of what a user searches for and browses, and create a profile of that individual — their likes, dislikes, interests, location, etcetera — based upon that data. In turn, Google tailors search results — and online ads — for users according to what its algorithms anticipate they want to see, meaning different individuals are presented with different information when searching for the same things. For instance, a Google search for the term ‘oil company' may provide a user working in finance with results related to investing in or working for Shell, while for a user involved in environmental activism, news stories about recent environmental disasters will be given prominence. Such a divergence is theoretically non-malignant — but in practice it can have a devastating and deleterious impact on public minds, as Upworthy executive Eli Parisier has observed. "Democracy requires citizens to see things from another's point of view, but instead we're more and more enclosed in our own bubbles. Democracy requires a reliance on shared facts, instead we're being offered parallel but separate universes. Personalization filters serve a kind of invisible autopropaganda, indoctrinating us with our own ideas, amplifying our desire for things familiar. Partisans are more likely to consume news sources that confirm their ideological beliefs. People with more education are more likely to follow political news. Therefore, people with more education can actually become mis-educated," he wrote in 2012. Indeed, via filter bubbles, Google has amassed a far greater ability to shape opinions and beliefs, and influence behavior, than any other company in history, as Dr. Robert Epstein, senior research psychologist at the American Institute for Behavioral Research and Technology, has long-documented. "Search rankings can shift voting preferences of undecided voters 20 percent or more. The shift can be much higher in some demographic groups [up to 80 percent]. Search ranking bias can be masked so people show no awareness of the manipulation. We call this the search engine manipulation effect. Given many elections are won by small margins, our results suggest a search engine company has the power to influence the results of a substantial number of elections with impunity. The impact of such manipulations would be especially large in countries dominated by a single search engine company," he wrote in a 2015 paper. Such an effect is particularly notable — and sinister — given Google has adopted an avowed policy of suppressing alternative information sources, hiding an ever-greater number of sites from an ever-greater number of users as time goes on. In April 2017 for instance, Google announced "quality improvements" to its search engine evaluation protocols that would crack down on "misleading information, unexpected offensive results, hoaxes and unsupported conspiracy theories", and promote "authoritative" content. In reality, the primary victims of the changes were alternative news sites, often those of an anti-establishment, anti-war inclination. Within six months, traffic to World Socialist Website fell by 67 percent, Alternet 63 percent, Global Research 62 percent, Consortium News 47 percent, Socialist Worker 47 percent, Media Matters 42 percent, Common Dreams, 37 percent, International Viewpoint 36 percent, Democracy Now 36 percent, Wikileaks 30 percent, Truth-Out 25 percent 25 percent, Counterpunch 21 percent, The Intercept 19 percent. After the announcement, other major technology companies followed suit, announcing their own measures for censoring the internet — Facebook for example committed to hiring thousands of ‘content moderators' in order to promote "trusted" sources. In November that year, Eric Schmidt — a "long-time friend" of Hillary Clinton and staffer on the 2012 and 2016 Democratic Presidential campaigns — upped the ante, announcing Google would "engineer" dedicated algorithms to ensure content published by RT and Sputnik would lose prominence on the search engine's news streams. "We're working on detecting and de-ranking those kinds of sites — it's basically RT and Sputnik. We're trying to engineer systems to prevent that [content being delivered to wide audiences], but we don't want to ban the sites — that's not how we operate," he explained. This was followed in March 2018 by another Google initiative, in which the firm announced a partnership with over a dozen major mainstream media organizations — including the New York Times, Washington Post and Financial Times — to further suppress alternative information sources. Alan MacLeod, an academic specializing in media theory and analysis — and member of Glasgow University's respected Media Group — says the "attack on free speech and free flow of information" being waged by Google and other tech giants is intended to "dismiss and deligitimize challenges to the neoliberal order", and "re-establish establishment control over mainstream means of communication". "It points to an extremely dark future for freedom of information. A private corporation without oversight and close connections with powerful political figures and organizations can decide what we can and can't see, what is and isn't news, what's real and what's fake. We've become slaves to algorithms without even realising it. Google demonetizes all sorts of videos on YouTube, disicentivising channels from speaking about topics such as anti-fracking, war, ‘RussiaGate', and more. This only applies to alternative channels as well — CNN isn't penalized in the same way. It removes the financial underpinnings of alternative media questioning the corporate state and Western power," Alan told Sputnik. Mercifully however, the scholar believes this "dark future" isn't necessarily inevitable. The solution, he suggests, is for Google — and other major tech monopolies — to be made subject to public ownership, or at least heavily regulated. Developments in Europe and the US indicate restrictions on the company's power may indeed be impending. In July, Google was hit with a record-breaking US$5 billion fine by EU regulators for breaking antitrust laws — the European Commission charged that the firm had abused its Android market dominance by bundling its search engine and Chrome apps into the operating system, blocking phone makers from creating devices capable of running ‘forked' versions of Android, and making payments to "certain large manufacturers and mobile network operators" to exclusively bundle the search app on handsets. Moreover, Google is subject to private actions over its enforcement of EU General Data Protection Regulations, with the company accused of coercing users into sharing personal data. GDPR requires clear consent and justification for any personal data collected by websites, and Google has implemented a new policy of requiring users to tick a box to access its services — but complainants argue the ‘all-or-nothing' system effectively compels users to accept bulk data collection or not use Google at all. Stateside, in August Republican Senator Orrin Hatch called on the Federal Trade Commission to investigate Google for anti-competitive practices over the company's dominance in online advertising and search. Moreover, a bill proposed by Democratic Senator Amy Klobuchar would ban acquisitions by any company with a market cap over US$100 billion. While not directly targeted at Google, such legislation would significantly compromise the firm's current business model — like other tech giants, the company has become reliant on simply buying startups rather than growing its own divisions in particular areas. Android, DeepMind and YouTube are all examples of this phenomenon, and in all Google has purchased over 200 startups since its founding. While it may merely serve to delay the company's entrance to certain markets, it could prevent the company attaining ‘giant' status in certain fields.